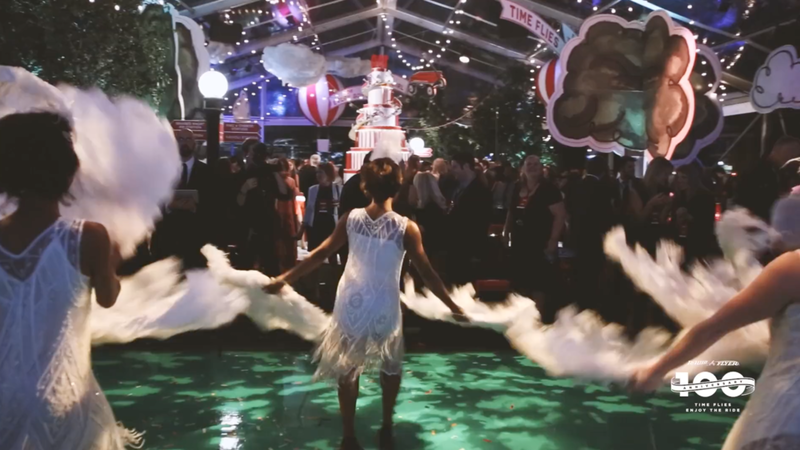 Radio Flyer Celebrates 100th anniversary with an amazing party and fig films captures it in a short event video. Radio Flyer celebrated its 100th anniversary in style and the fig team was on hand to document the event. Amazing vendors all came out to play at the Radio Flyer headquarters bringing in everything from a full marching band, giant replicas of the famous red wagon and a live band performing hit music from the last 100 years. Our event videographers covered the event which culminated in a large fireworks display that could be viewed from inside the event space’s transparent tent. With so many elements to cover, it became clear to us early on that this job required a crew. The CEO of Radio Flyer wanted to capture both the on-stage elements, the scale of the party and all the elements within the party. We brought in a licensed drone operator, steady-cam operator, and a third camera to cover just the on-stage elements. Even with all the cameras, covering the timeline was a challenge. There were many moving parts that required our team to be in place before they happened. This meant that we needed to educate our client on timing throughout the night to make sure the shot list was covered and to help them understand the logistics of coverage from our perspective. We worked with the event team at BLISS, to make sure we were on target throughout the night. We love the BLISS team! The fireworks proved to be the most difficult to cover. The smoke from the fire did not clear fast enough to cover the large logo that was to be "a-flame with sparkles.” Even though this was a must-have on our clients wish list, we couldn’t control the weather that night. A light breeze would have been perfect! This client booked a three-camera crew for 5 hours, a long form cut of all the footage and a short event highlight cut to music. Long Form Cut of all footage edited together. 5 rounds of review to make specific changes and tailor the work. 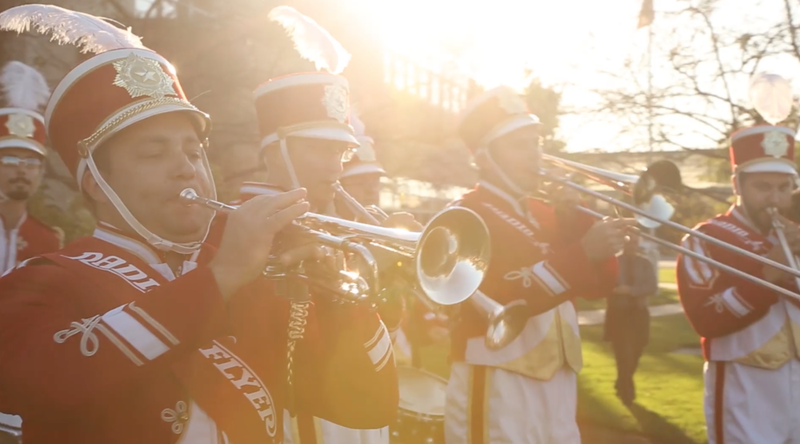 Short Form Event highlight film cut to music. Hard drive loaded with all film files for the client's archive. Rights to use the footage in perpetuity.